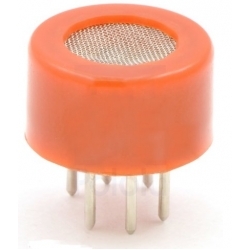 The MQ-7 Carbon Monoxide Gas Sensor is a semiconductor gas sensor that detects the presence of Carbon Monoxide gas at concentrations from 10 ppm to 10,000 ppm. The sensor’s simple analog voltage interface requires only one analog input pin from your microcontroller. The MQ-7 Carbon Monoxide Gas Sensor detects the concentration of Carbon Monoxide gas in the air and ouputs its reading as an analog voltage. 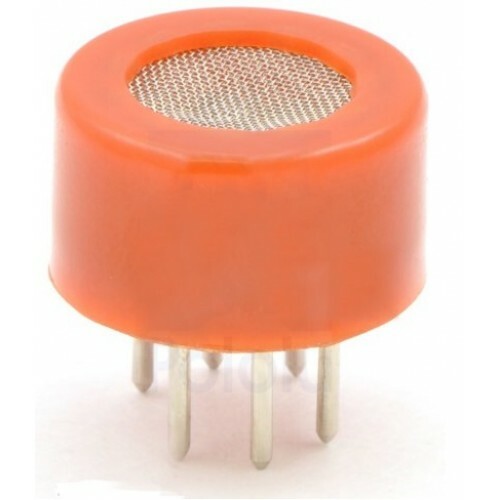 The sensor can operate at temperatures from -10 to 50°C and consumes less than 150 mA at 5 V.